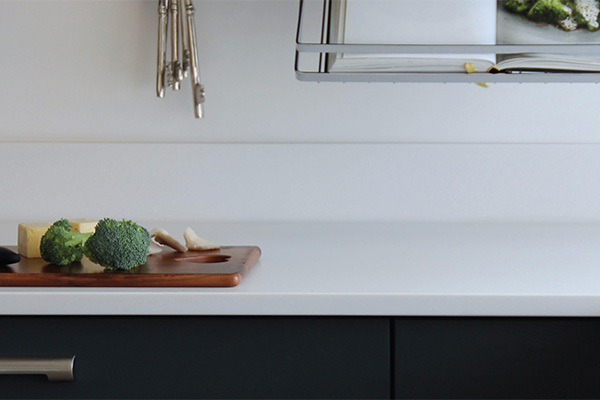 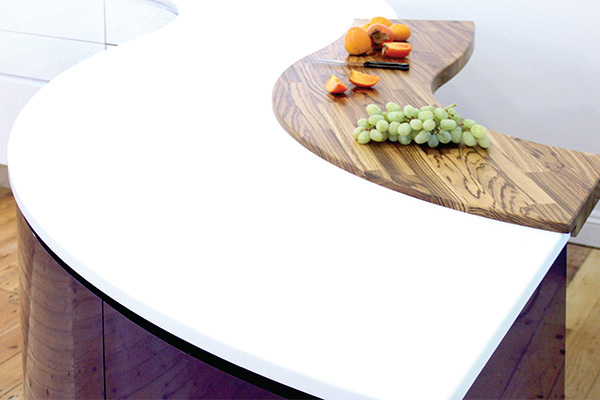 As MISTRAL worktops don’t have a wood substrate they can be shaped to follow the exact curves of contemporary kitchen design. 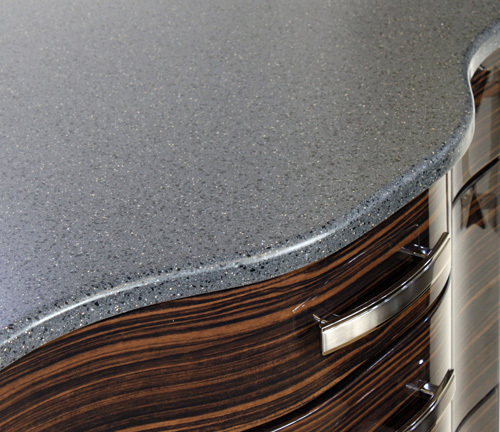 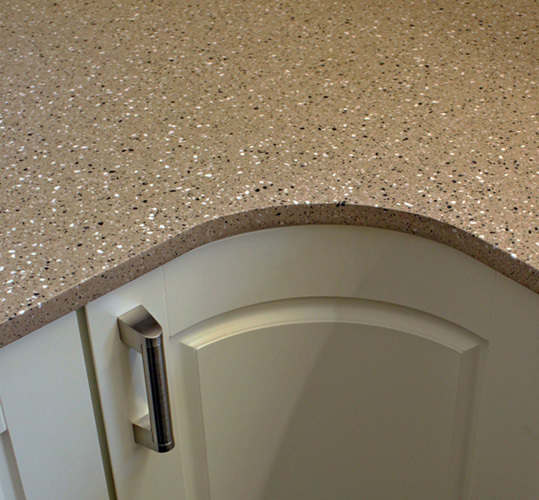 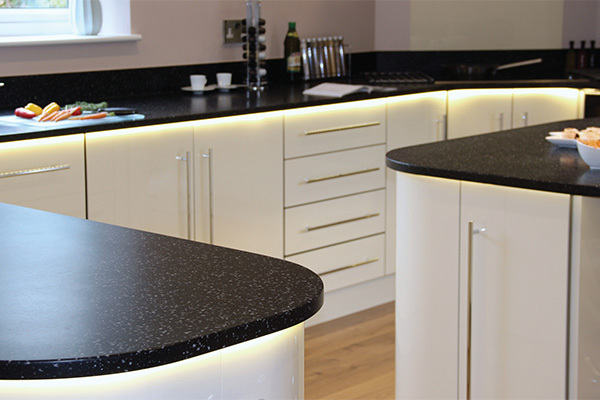 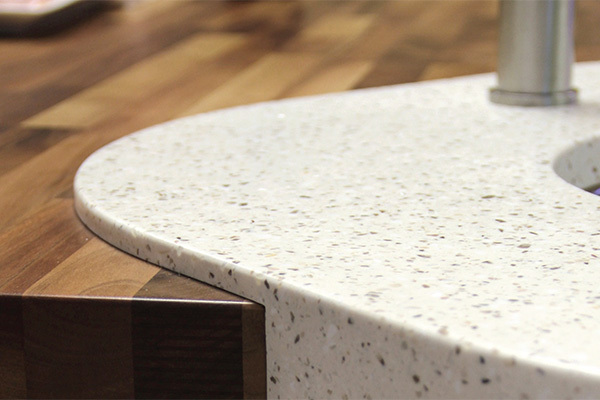 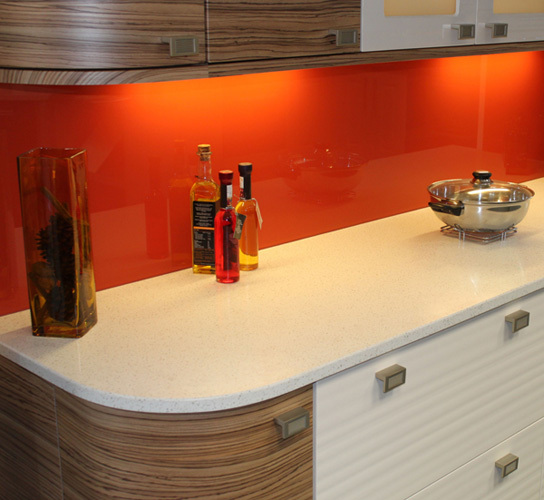 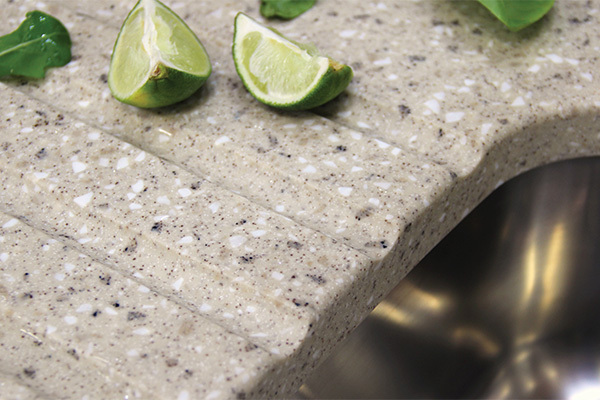 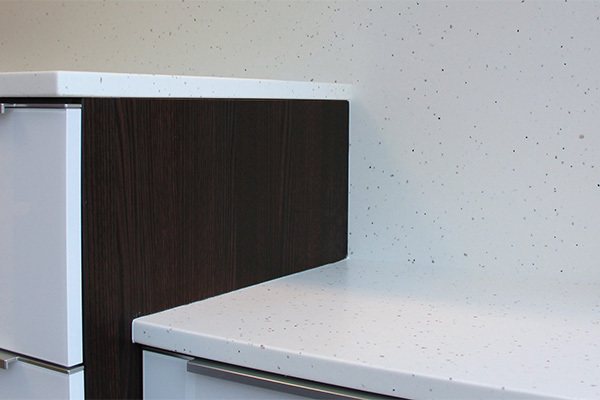 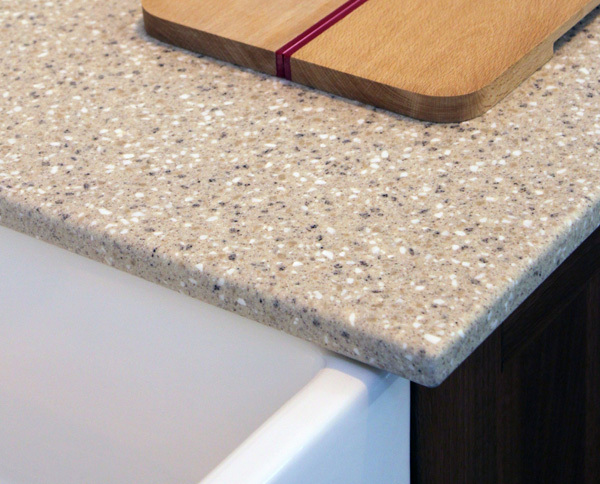 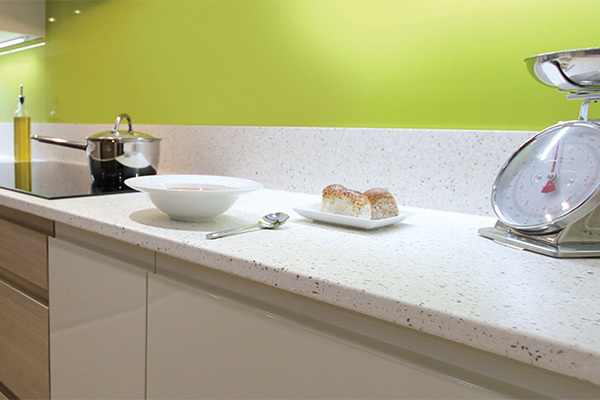 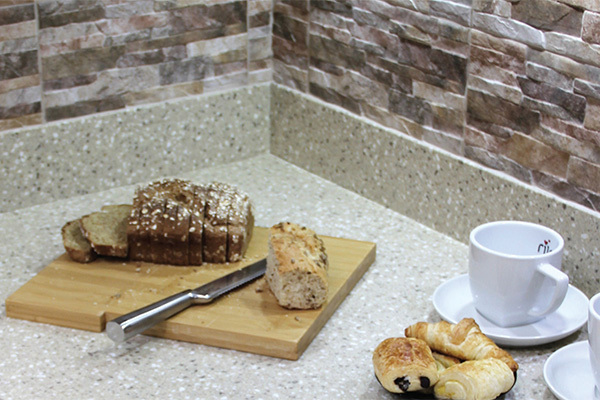 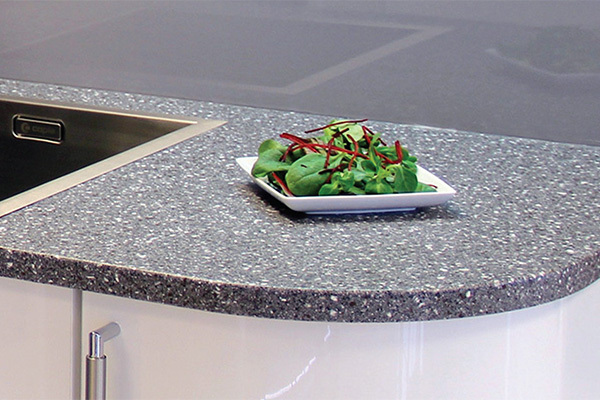 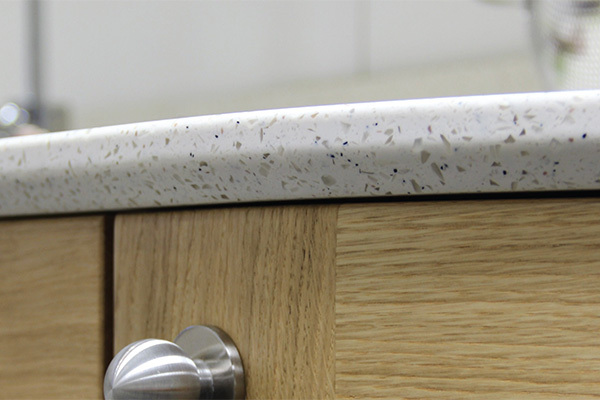 In addition, imaginative island surfaces can be created to provide stunning features as well as invaluable extra worktop space. 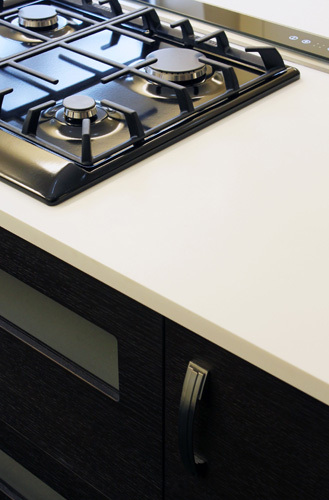 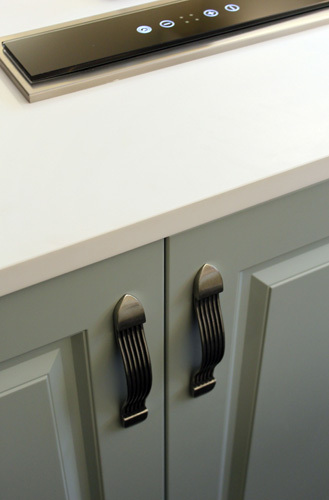 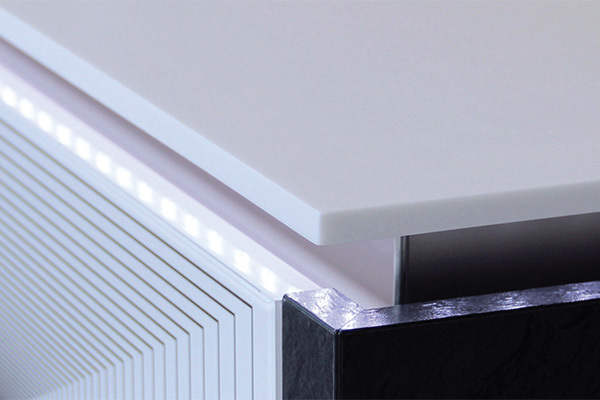 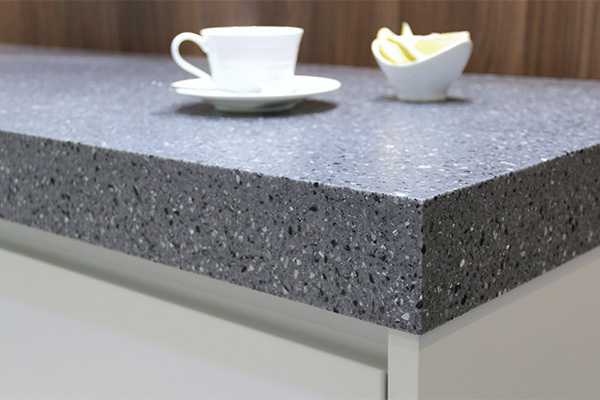 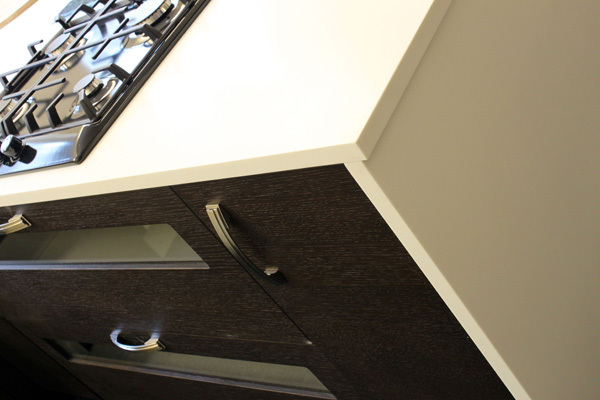 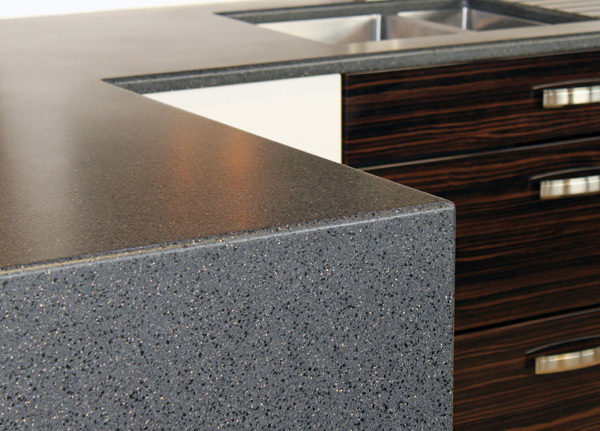 MISTRAL’s flexibility of form, appearance, size and colour means there is a unique solution to every design scenario, whether the requirement is for a dramatic statement piece or a complementary worktop. 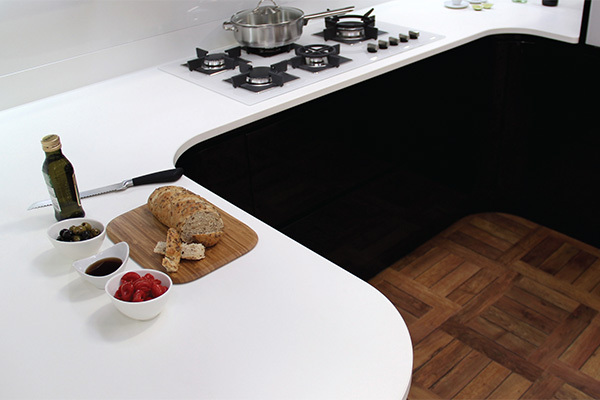 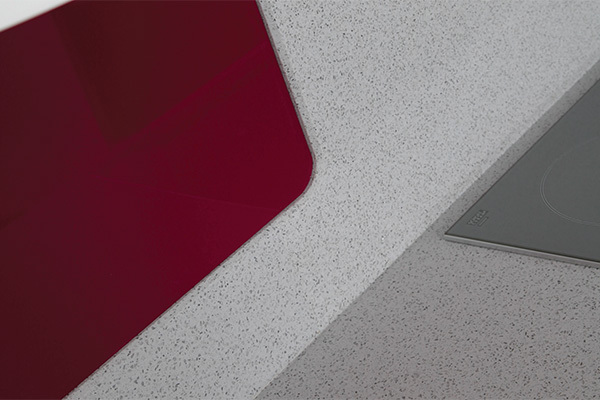 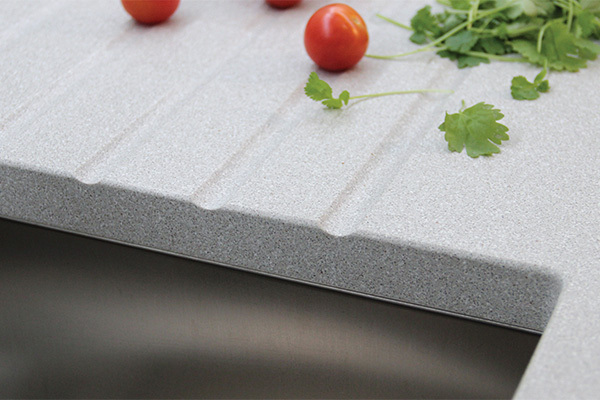 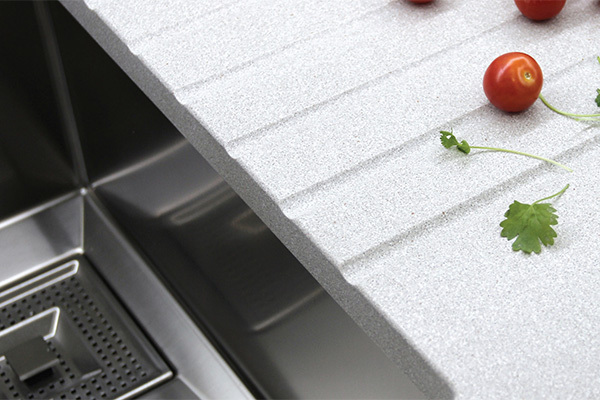 With the range including supporting products such as hob panels and upstands, MISTRAL also offers great versatility. 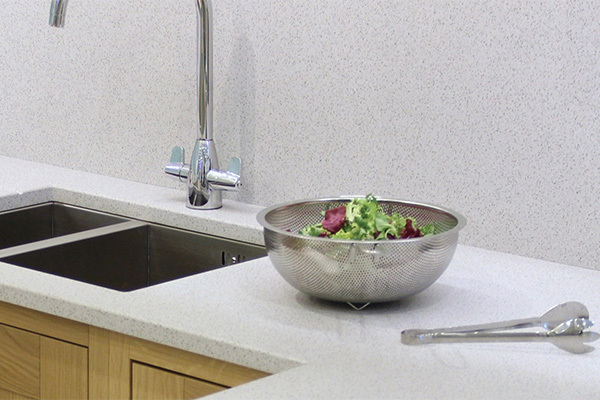 MISTRAL’s genuine solid surface composition is ideal for the creation of imaginative detailing like drainer grooves and wet areas around sinks. 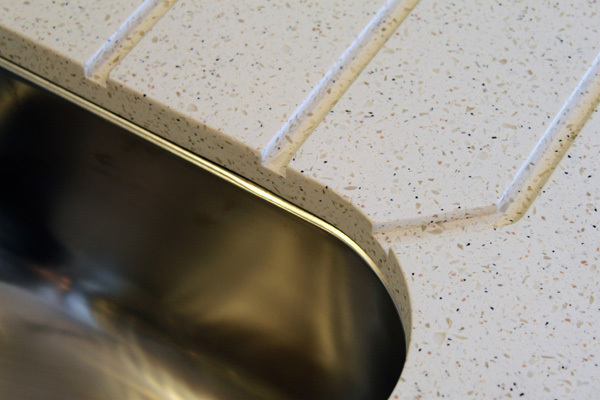 These features can be formed with real depth so that they can be truly effective. 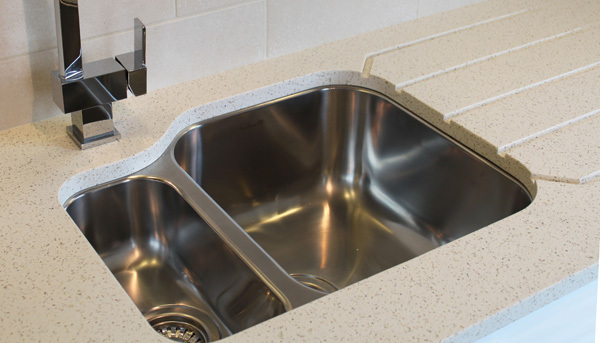 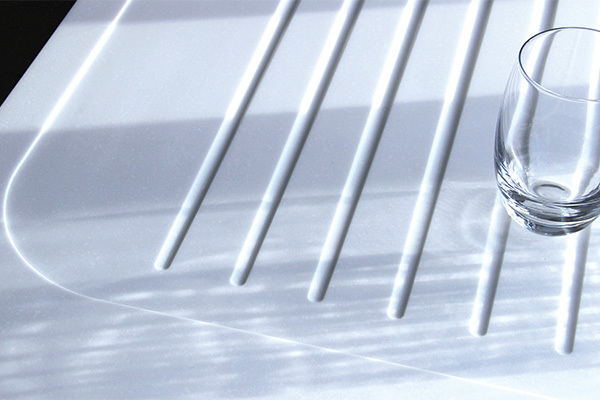 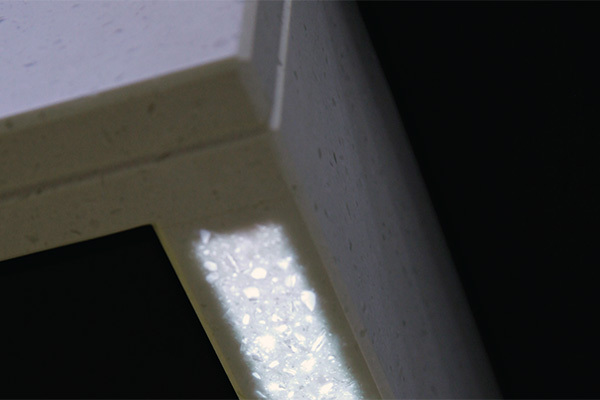 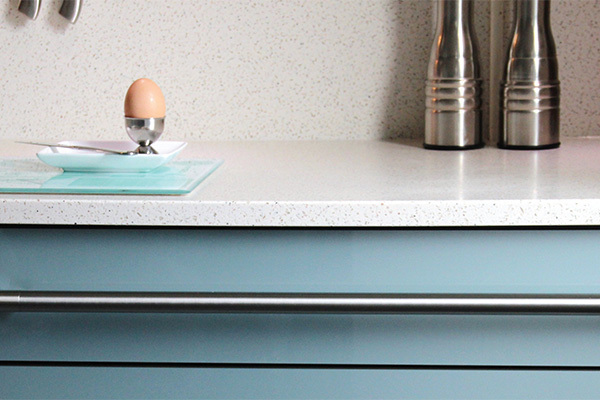 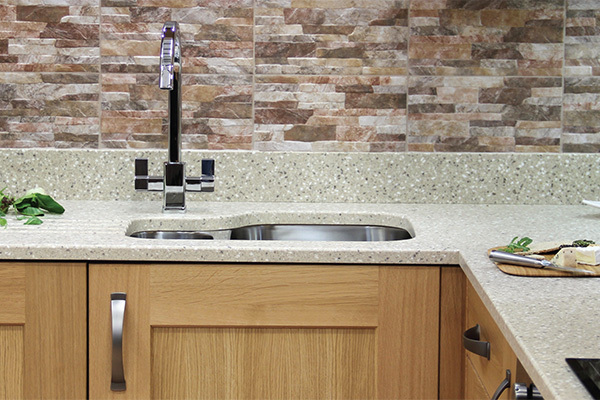 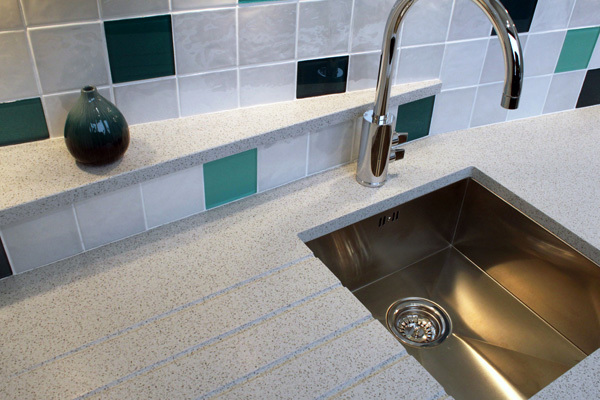 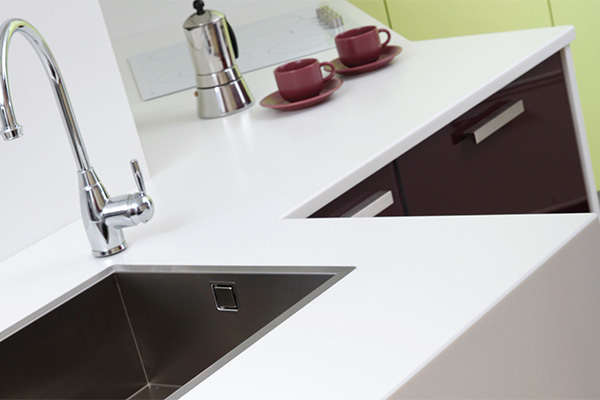 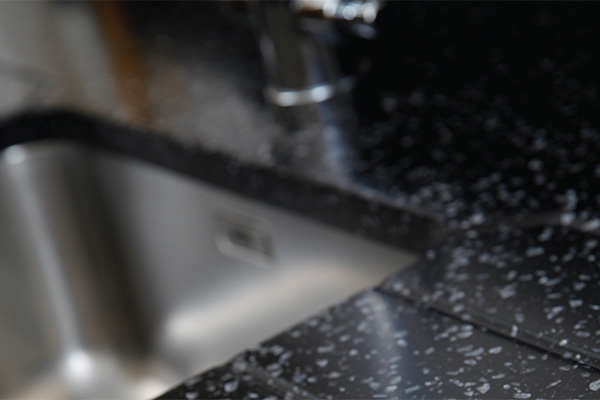 MISTRAL’s 25mm thickness presents the perfect frame around all types of sink from acrylic to stainless steel. 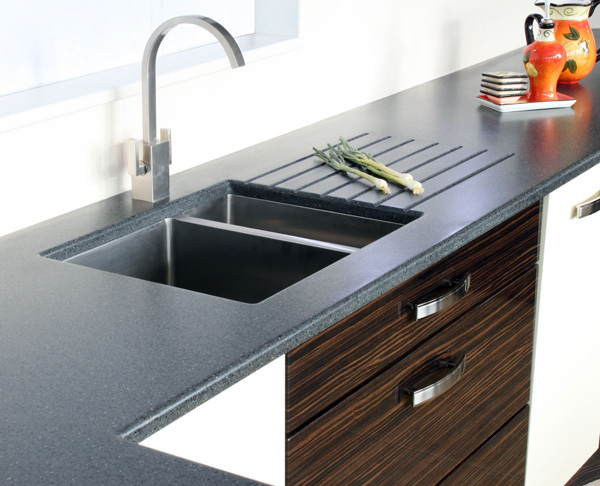 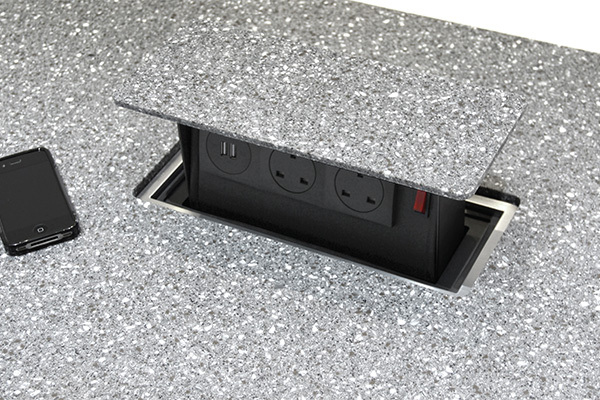 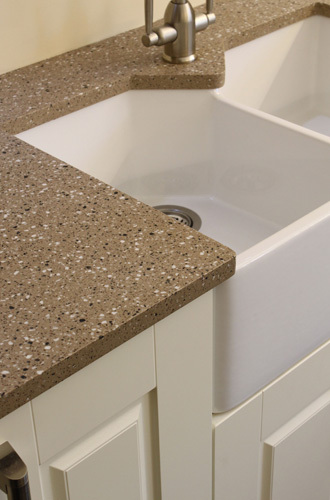 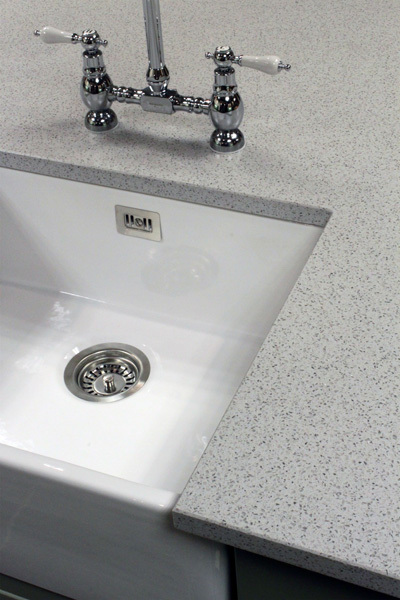 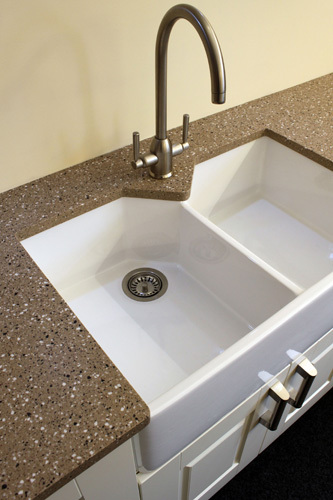 With its inherent strength MISTRAL is even compatible with Belfast style ceramic sinks.